Cristian: Welcome Oliver to www.entrepreneurship-interviews.com. Tell us a few words about yourself. Oliver: Before getting an MBA, I played bass in a rock band and produced music videos for bands such as Helmet and GWAR, all pretty heavy stuff. For the past year and a couple months I have been with nrelate, working on everything but the coding itself. I have always had a start-up type mentality, in that, I love bringing something from the ground up, to a place where people are interacting and being positively affected by the creation, whether that be a piece of music or a piece of software. Cristian: You have a WordPress “related content plug-in” business what is that all about? Oliver: We saw the current plug-ins that were available out there and we thought we could improve upon them, so we developed the related posts plug-in. We are currently on WordPress, but are also working to get the plug-in out on Blogger/Blogspot and Drupal as well. Cristian: WordPress s really popular these days, but most people are used to getting everything for free when it comes to plugins and tools.  So can you actually make money with WordPress plugins? Oliver: Some companies definitely make money with plugins. The clearest way to make money is by charging a one time or recurring fee to use the plugins. Other people use the “Donate” button method, but I am not sure how well that works (someone probably has an amazing stat on this). At the end of the day, if your plug-in doesn’t provide unique value to the user, money is really out of the question. Cristian: What is your main plug-in doing? Oliver: On a high level, it is providing related links to a site’s own archive. We do this by indexing all of the content on the site, and then use our algorithm to determine the best posts to link to for a given article. A lot of the sites we are on are seeing click-through rates of 6-12%, which translates directly into more page views and ad revenue. Cristian: How is it different from other “related content” plugins? Oliver: There are a couple of things that differentiate nrelate. 1. We allow users to show related content links from sites they have listed on their blogroll. This is especially useful for a person who owns a few sites and wants to automatically send traffic between them. 2. We allow users to pick thumbnail size. This may seem like a pretty simple thing, and maybe technically it is, but with all the different sizes a blog may be, giving the users the choice to fit the perfect amount of thumbnails on their page has made a world of difference for how the plug-in looks. 3. We allow any size site to sign up to display ads and receive a revenue share. It doesn’t matter what your traffic level is, if you want to use the ad network, we will sign you up and even if the amount you make is just enough to cover hosting fees, that is fine with us, we just want as much coverage as possible, and to grow with the next group of up and coming bloggers. Cristian: Who is your typical user? Oliver: We don’t really have a typical user. Sites using our plug-in range from large sports sites with tons of visitors and tens of thousands of posts, to do it yourself craft sites, celebrity gossip sites, news, politics, I mean just think of all the different things that bloggers write about, at this point, we have at least 10 to 20 blogs in each category that is out there. Cristian: And how does the revenue model work? Oliver: We sell ad space on the plug-in and share this ad revenue back with the blogger based on performance (clicks). This is all opt-in, and any blogger can still get the same full featured plug-in without showing advertising. Cristian: What are the benefits for the publishers? Oliver: If a more traditional publisher is using WordPress, they can certainly install the plug-in, however, generally much larger sites also have a lot of moving parts, so they would talk to us for a more custom install of our software. The benefits, however, remain the same, increased clickthroughs, increased ad revenue, and greater visibility of all available content for a given site. Cristian: And for the bloggers? Oliver: Bloggers using WordPress are getting a free plug-in that is going to start driving more page views on their site from day one. It looks good on just about any site, and if there is a problem with the plug-in, we are pretty much on the clock 24/7 with customer service. For the majority of sites, the plug-in is installed and starts working within an hour or two. A blogger will immediately see an increase in page views on their site. Oliver: I’ve always been a fan of WordPress. Mainly because I am by no means a technically gifted individual, and WordPress has allowed guys like me to hack together a site in a couple hours. They are not always pretty, but they function, so I think that is pretty cool. When we were looking for different ways to showcase our underlying language processing software, we put our heads together and thought that WordPress would be a great springboard for us. We knew we could add some value to this community of active and passionate users, and then use that feedback to improve the product. But going further back, the main idea behind the company, which was actually Neil’s (Founder) was to create a way to see what bloggers were writing about the current events at any given moment. Basically, the Op-Ed section of the paper has somewhat moved into the blogosphere, and there is a lot of great content out there that is being missed by an audience that would love to read it. From there, we ended up building a bunch of products for publishers and are now coming around to release those products to blogging communities. Cristian: Most entrepreneurs are afraid to start a business in a domain where you can get stuff for free. What is your advice? Oliver: If everything out there is free, make sure you build a product that addresses a need not being currently met in the market, and scramble like hell to get as many users as you can, as fast as you can. Also, try to differentiate on things like customer service or other places you think you can compete. Cristian: How do you fill a need that is not currently covered? Oliver: We started by releasing a plug-in that had thumbnails and could link to other content of a person’s choosing, not too revolutionary, but it was as start. We are now discovering tons of needs that people have. Many plugins don’t work with people’s sites, slow them down, or just don’t look good; people have let us know this and we work to make the changes to make ours work for them. We also wanted to give the average blogger the chance to make a little extra money from their blog, so we allow any size site to show ads and share in the revenue. Cristian: Coming back to the product, what type of advertisers can be displayed on the related content area? Oliver: Right now we are using a daily deal advertiser, but as we continue to expand, we will be offering all types of different ads, basically we will need to cover as many ad categories as we have blogs that are appropriate. Cristian: I must say I gave the plug-in a try before the interview and I found it very accurate in providing the exact related content to the current post. What is the secret? Oliver: Neil and a few other tech guys spent about a year working on the main software engine that makes nrelate run. Now, we have a person dedicated to improving how well we relate content. That is pretty much it, a ton of hard work over time by some really smart people. Cristian: Do you need to be a technical guy to start a business like yours? Oliver: You don’t have to be a technical guy, but you better have a very solid one on the founding team,. You also need to have a decent grasp of how the software you are building functions, because if you are a small team, no matter what your previous experience, you will end up working on the tech in any way you can. Cristian: What would you different if you were to start all over again? Oliver: We would release the WordPress plug-in from day one. We spent a lot of time working with publishers, and it just wasn’t as rewarding as it is to be dealing with bloggers every day, to see the plug-in going up on more and more sites. Cristian: You told me you are continually working to improve the product. How do you gather user feedback? Oliver: Right now, anyone can email me or drop us a line via a contact form, and I will write back and document any suggestions that are made. When we get enough suggestions for a new feature or change, and it is something we can feasibly due given our other development queue, we will add those enhancements in. The whole thing has been awesome, I get to talk with around 20 bloggers a day, and love hearing new ideas and helping fix problems that come up. Cristian: And talking about improvements, what are the next milestones for the product? Oliver: We are working on a new plug-in, Most Popular, so getting that out will be the next big milestone for the company. As for the related content widget, the next real big milestone will be integrating it more into the WordPress structure, so our main algorithm can feed off of WordPress specific items such as Categories and tags.